Leading innovative video interview software provider, VidCruiter, says that there used to be a day and age when video recruiting was looked down upon. Rather than use this strategy, HR professionals continually met face-to-face with job applicants. However, this has changed as of late with more and more companies altering their approach, subsequently saving time and money along the way. In my part of the world, we’re hiring across something like 16 different countries. Jumping in a car to meet a VIP candidate down the road is just not possible, but we don’t want to miss out on a chance to meet amazing talent. In the communications business our clients retain us for our high-caliber thinking – and discovering more about the soft skills of candidates, at the scale we need to, is a perfect problem for one-way video interviewing to solve. We were lucky enough to be involved with Jobvite during their BETA phase testing and product development – and the results we’re seeing during the trial in terms of time saved and quality talent spotted is really encouraging. 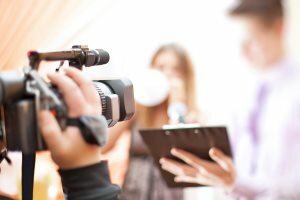 There are already a ton of video solutions out there, but we feel certain that the most successful will be those which focus on delivering an enjoyable candidate experience. I personally think video interviewing will move from the experimental early adopters to the ‘early majority’ in 2014. The one thing not mentioned by OfficeTeam is whether these companies were utilizing live interviews, such as free video conferencing tools (Skype), or if they’re using pre-recorded interviews. A software program is needed to make this work properly for both the employer and the applicant. The “brain” or business intelligence behind the video recruiting platform is the most important factor to making this experience result in the best outcome. Customizable workflow. Let’s face it: No two companies are exactly the same. For this reason, no two companies have the same hiring process. Video recruiting is one of those things that has to be experimented with to fully understand the benefits. After giving this a try and comparing the pros and cons to your previous interviewing strategy, you will see why so many others are relying on this way of recruiting!